How to save PST file in 3 easy steps? 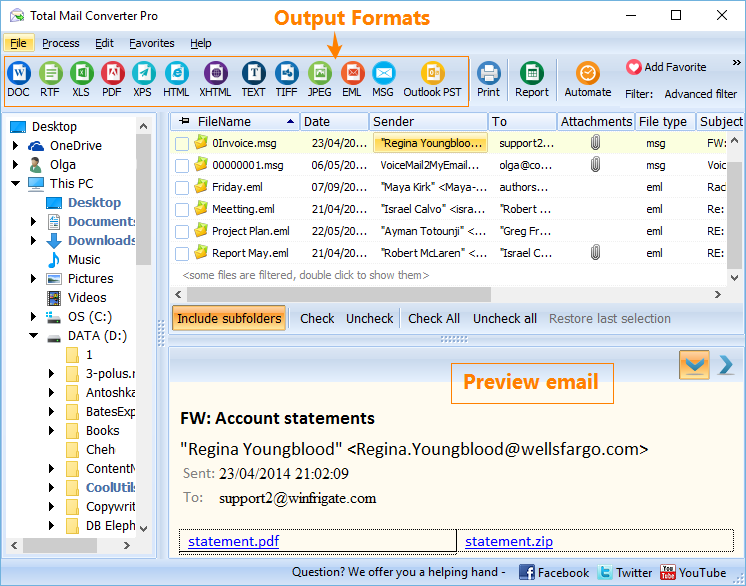 You are here: CoolUtils > Total Mail Converter Pro > How to save PST file in 3 easy steps? 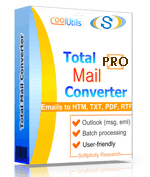 Total Mail Converter Pro is a version that can process any types of attachments together with the emails. 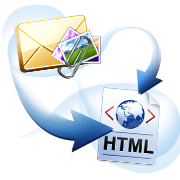 When you convert email to HTML with attachments, you can convert attached texts and messages to HTML or save them separately. This way all information stored in your source mails is exported to a new format, and is not lost. All options for processing attached files can be used together in any combination. 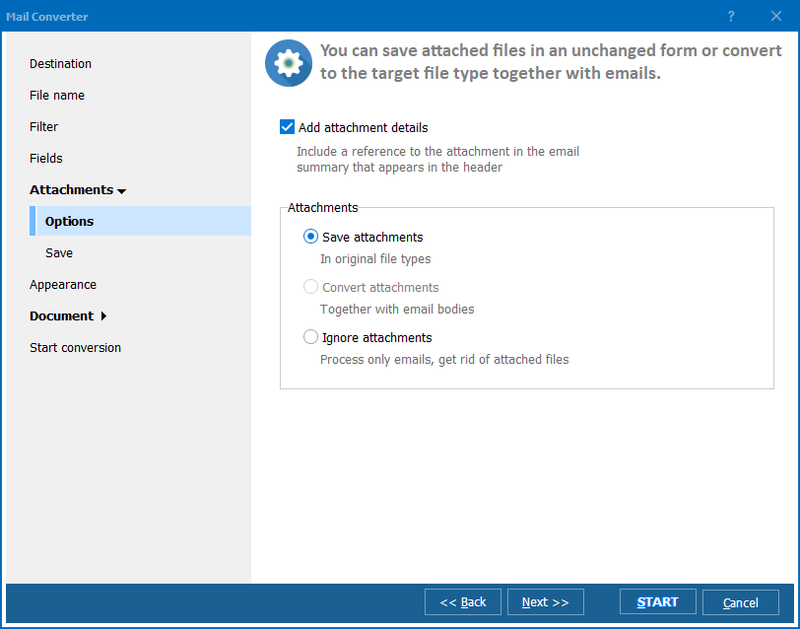 For example, you can save attachments in a folder (in original format, not compressed), and insert attached pictures to HTML copy of the email. Check the actions you need, and the program will do that for your attachments. 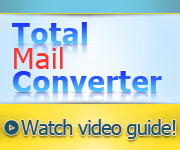 This email converter works perfectly with big number of source files in one batch. It has no limitation in maximum file size, number of files per batch, etc. 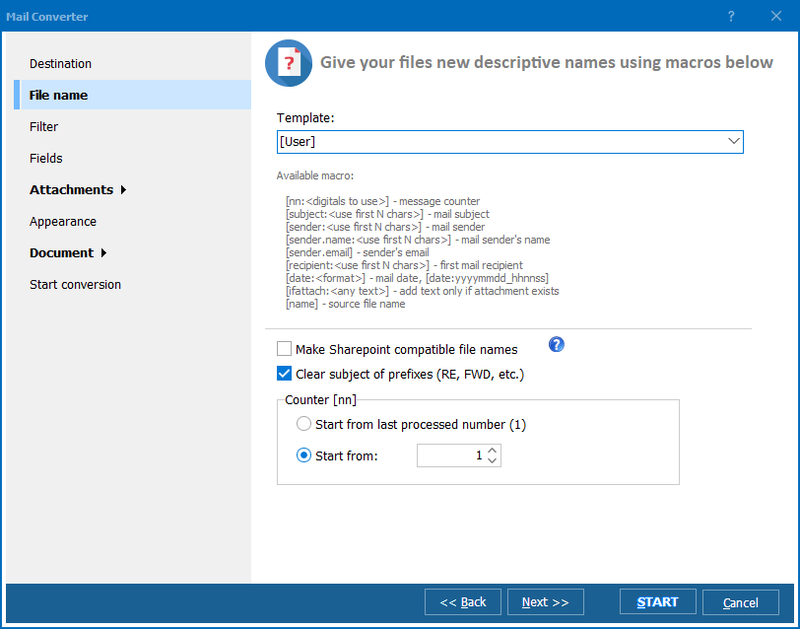 Even thousands of MSG or EML files will be processed without any problems! One huge bonus for email conversion is ability to apply CSS styling from external file. As you know, HTML pages should be styled properly before integrating them into the website. When you convert email with attached files, you can either use external CSS file or setup CSS properties inside built-in editor. Similar to standard app version, here you can deselect fields that you don't need to convert. HTML copies will contain only data you need. Try this email converter on your messages with attachments to see its efficiency in action. Download it here!